soon open two more branches. “The bank will initially focus on establishing its footprint in Dar es Salaam with the intention of expanding its representation to all regions of Tanzania. In addition to branches and ATM's (automated teller machines), the bank's product offering will also include online banking and cell phone banking,” says the statement which has been posted on the bank’s website. The statement quotes the bank’s chief executive officer (CEO), Mr Richard Hudson, as saying that having a presence in Tanzania will enable it to tap into one of the most attractive markets in East Africa with excellent economic growth and banking sector performance. “The roll-out of branches, products and services will be on a phased approach and will be tailored to the needs of the citizens of Tanzania," he said.Danny Zandamela, CEO of FNB Africa added: "We are excited about establishing FNB in the East African market and we believe that Tanzania's demographic profile offers the perfect market for our innovative products and services. 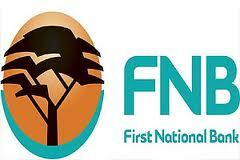 FNB's low cost and convenient products such as cellphone banking will directly address market conditions in Tanzania." Despite the fact that the country already has one of the highest numbers of commercial banks in the region, FNB believes the market is still huge.“We are therefore confident of success in Tanzania and are looking forward to partnering with the people of Tanzania to make a success of the Group's investment in the country,” said Mr Hudson.